most varied flying experience had prepared me to use an airplane in combat. I’d spent time as a line pilot in two squadrons, been both frightened and hardened by every kind of aerial incident, flown in good weather and bad, served as a gunnery instructor, spent a couple of years doing air shows, duty at least as testing and dangerous as any war I was likely to see. No human agency had been responsible for what amounted to the best possible preparation. More like dumb luck. I got to the fight late but, for whatever reason and by whatever method, I got there in just the right condition: alert but relaxed. Then another decade of experience, again accrued seemingly without purposeful design, had given me the most excellent preparation to command a wing. 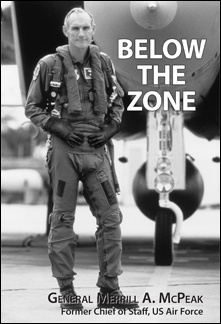 I’d worked as assistant director of a fighter wing’s operations, run a support group, served as a wing vice-commander. My time at Börfink Bunker gave me both big picture and fine detail about how wings would be used in a theater of operations. Finally, by some incredible stroke of luck, I’d been given a wing of my own to run. Only a handful of people ever make the transition from what they want to do to what they’re meant to do, but here, at the 20th Wing and in my 23rd year of service, I was in exactly the right spot. And I got to do it for 16 months. Nearly all general officer jobs are too small—the remaining few, too big. Being a wing commander was just right, the last important Air Force position I held that let me believe I knew precisely what I was doing.